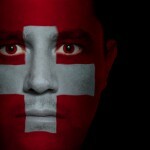 A recent survey by Pro Linguis demonstrates the importance of English in Switzerland. The notional line, known as the röstigraben, that marks the border between French and German speaking Swiss does not confine Switzerland’s English speakers. To test each language group’s mastery of the world’s lingua franca, they selected difficult to translate words, like the French word “chenit” (mess) and the German “chuchicchäschtli” (kitchen cabinet). 79% of French speakers and 84% of German speakers surveyed passed this test. 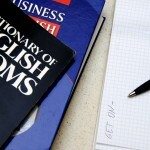 English is also liked and widely used across the country. 98% of those surveyed said they view English as a “cool language”, while 75% of German-speaking Swiss and 70% of French speakers said they use English at least 3 times a week. 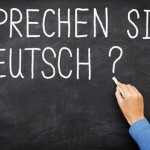 Although German-speaking Swiss feel more comfortable in English, French speakers are more likely to speak it with their German-speaking compatriots. 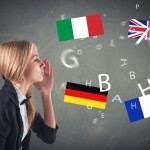 50% of German-speakers prefer to speak with their francophone counterparts in English, while the other 50% choose French. On the other side of the röstigraben, 65% of French-speakers choose English to converse with German speakers and only 35% German. Asked which language they are comfortable swearing in, most French-speaking Swiss say they revert back to French when communication becomes fractious, while German speakers say they are happy to cuss in both English and their native. Learn to shout louder, or learn the lingo. Chenit does not mean messy but mess. Is the rest of the article as accurate as this translation?! Many thanks. We have made this correction.